It’s that time of year, the hustle, bustle, shopping, wrapping, cooking and stress. Stress creeps in this time of year as we add more and more to our already full to-do lists. 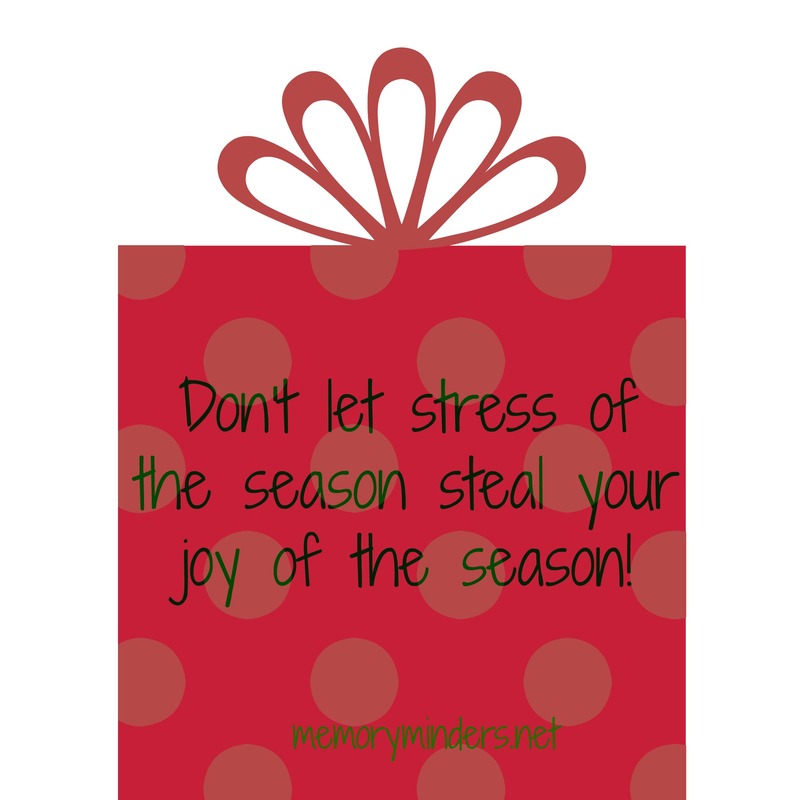 We want to celebrate and enjoy the season but often find ourselves more stressed than joyful. For those without family and friends around them, this can also be a season of loneliness and depression. Stress is bad for our brains as well as our bodies. Managing stress, especially this time of year is the key to a memorable and joyful season. Our brains do not like stress. The forgetfulness you have this time of year may be the extra stress you are putting on yourself. Find an outlet for your stress and use these few tips to help manage the stress and be more joyful. Organize and then delegate or defer-we don’t have to do everything! Be like Santa-make a list and check it twice. Share the load with family and friends. Make this holiday season about the experience of being together instead of creating all the food or buying presents we may not need. Enjoy their presence, not necessarily more presents. Maintain your health-keep up on exercise, healthy eating and getting enough sleep. These are the first to go when stressed but they are the most important to keeping your stress down and your joyfulness up! Find moments for yourself each day and breathe. Marvel at the tree, enjoy the wonder of children, sing or listen to your favorite holiday music. When we take these small moments, the season becomes more enjoyable than stressful. 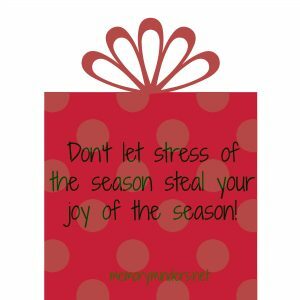 Don’t let stress of the season steal your joy of the season. Be mindful, be present and have a memorable holiday season!